Minnesota Gov. 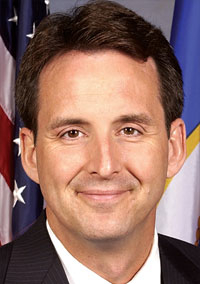 Tim Pawlenty has proposed a 2010-11 state budget that would close a projected $1.2 billion budget deficit in part by cutting the state Department of Health budget by $347 million. The Minnesota Hospital Association said the human services cuts would result in about 21,500 people being removed from MinnesotaCare, a publicly subsidized means-tested health insurance program intended to aid families who want to leave welfare without losing their health insurance. “Government has to live within its means by setting priorities and tightening its belt just like everyone else,” Pawlenty said in a written release. The business-friendly budget proposal would reduce corporate and small-business tax rates, among other proposals intended to spur job creation. Hospital association President and CEO Lawrence Massa said the proposals could harm some of the state's largest employers—hospitals—in the long run by forcing more uninsured patients to seek care in expensive emergency-room settings. Pawlenty and the state's hospitals have been trading barbs since last fall, when Pawlenty canceled funding for a separate subsidized-insurance program that serves an estimated 35,000 childless adults, many of whom were told they would have to get coverage through MinnesotaCare instead.